Oceanfront home located on peaceful Playa Malibu in Panama. This beautiful 4+ bedroom, 1.5 story home is priced to sell. Some of it's features include a 1 bedroom casita, beautiful oceanfront pool with bohio, and 2 large master bedrooms, both with ocean and pool views. 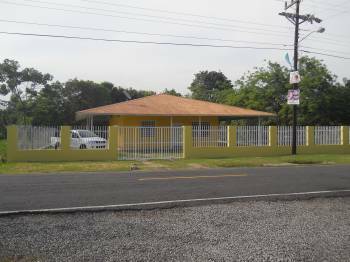 The fenced yard is 1000 square meters, has ample parking, security, and privacy. Playa Malibu is the beach that many of the developers are moving to, so prices are on their way up. Pacific Hills, Empresas Bern and other major developers see the future here with porjects like Ocean Waves, Suenomar, and Royal Palm. Compare this oceanfront treasure to many houses in the area that do not have oceanfront, or that are a mile or more from the beach with similar attributes and similar pricing.